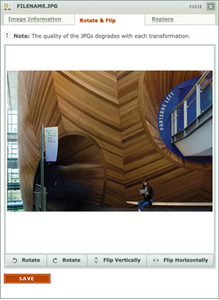 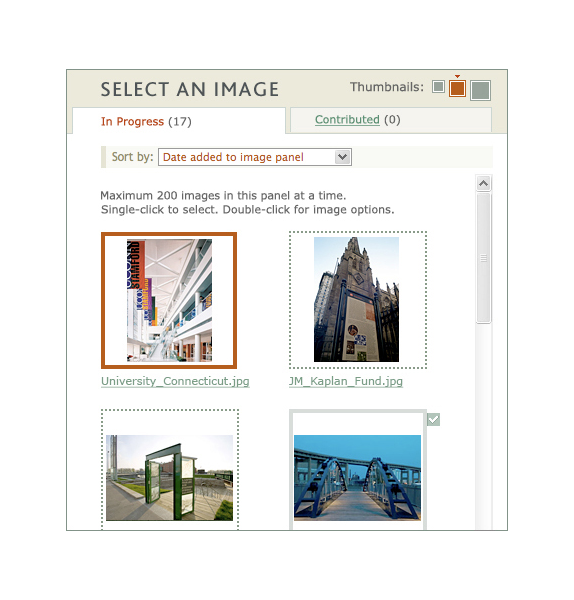 ARTstor is a nonprofit digital library of more than one million images in the arts, architecture, humanities, and social sciences with a suite of software tools to view, present, and manage images for research and pedagogical purposes. 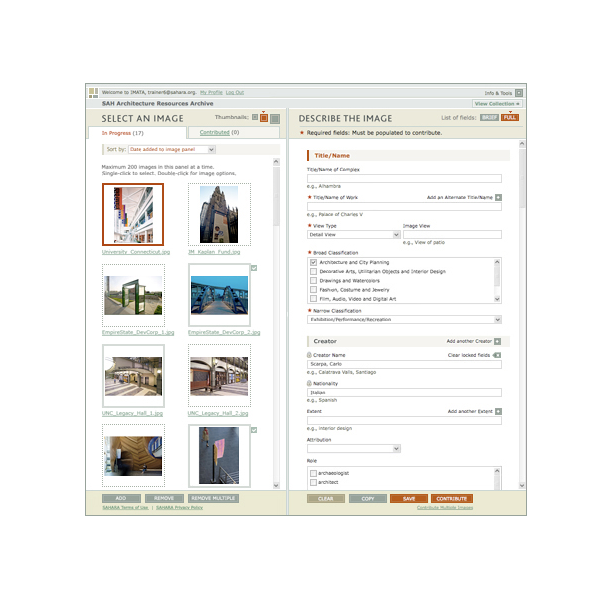 IMATA is a platform that allows institutions to create private collections for their members, by contributing images and metadata through a user-friendly and intuitive interface.C&G Partners was tasked with creating the visual interaction design for the software that provides this functionality. 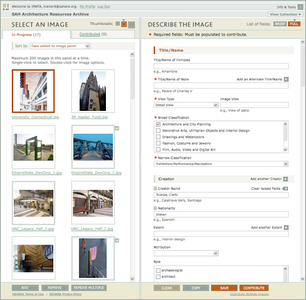 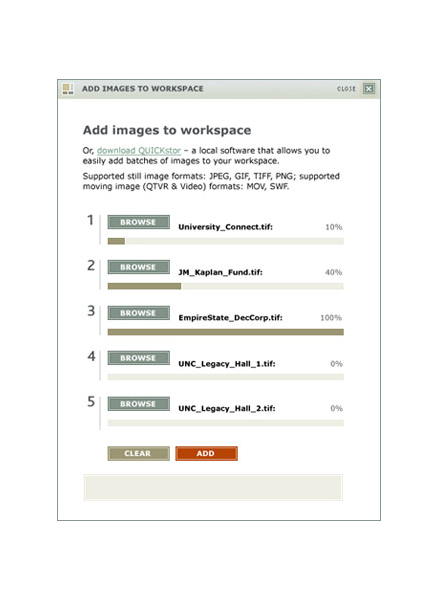 The main workspace allows users to add images and metadata to the collection via a step-by-step process. 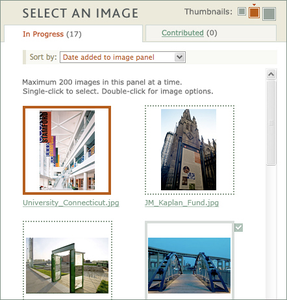 Additional functionality allows users to upload or contribute multiple images at once.